In our sub-$500 article, we rejigged a few things to make the article easier to read as well as refreshing our chart. We removed the Egnater Tweaker, which had become harder to find, and replaced it with the classic Fender Champion 100, while we also added the Hughes & Kettner TubeMeister TM18H. Many of the guitar amplifiers you can find for under $500 are ranked among some of the most popular on the market. Why? Because they offer stage-worthy power, are packed with cool features, and are affordable enough for both enthusiasts and professionals on a budget. Why Spend $500 on an Amp? What Should I Get If I Gig Often? So, if your budget is in the region of $500, you’ve come to the right place (if it’s lower, perhaps check out our chart on the best $300 amps. We are about to dive into a chart highlighting what we believe are the top eight guitar amplifiers under $500 at the moment. In the chart we have included both combos and heads, and tube and solid-state amps. Let’s get into it and see which models made the cut. A Smaller version of the well-known 6505 that sounds just as good. One of the best balanced all-tube practice combos available on the market. Huge tube tone and boutique design for the studio musician. The spirit and sound of AC30 packed into a compact practice amp. A legendary amp that keeps things simple. This puppy is a true solid-state workhorse from a well-known British brand. A whole lot of output combined with great versatility and built-in speakers. Peavey's ValveKing II head was, and still is the staple of heavier genres. Metal wouldn't really be what it is today without this amplifier. With that said, when Peavey announced the release of ValveKing II, a scaled-down version of the big daddy we all love so much, the hype was almost too hard to contain. Coming in at 20 Watts of power, this smaller version of a legendary amplifier brings the very same type of tone that's hard to replicate using a different brand. While some might find it underpowered, 20 Watts from the ValveKing II definitely sound louder than they should. In combination with a decent 4x12, you can get a legendary tone right in your bedroom. When Blackstar first released their HT-5R, the market was already saturated with a whole variety of compact tube combos. However, Blackstar's design offered a rather impressive combination of power, performance, and price. Things haven't changed much since then, and it has managed to retain its position on the market. With 5 Watts of power, a great speaker and an even better choice of tubes, HT-5R is still one of the best choices in its category. The tone you get resembles that vintage valve vibe, although you are presented with a pretty versatile tone-shaping potential. Overall, this amp is hard to match. It might not be packed full of features, but the core of its design guarantees a solid performance. When fired up with its bright blue LED, the Hughes & Kettner TubeMeister TM18H shows off killer style – although it certainly offers more than just looks alone! As we explain in the complete TubeMeister 18 review, this amp head offers a maximum output of 18 watts, with EL84 power tubes and 12AX7 preamp tubes, although – thanks to the rear Power Soak function – you can easily switch to 5, 1 or even zero watts for quiet practice and silent recording with the built-in Redbox DI speaker simulator. For the price, the tone is awesome – crisp and detailed, with a surprising amount of gain, making it suitable for pretty much any style of music. The shoes left behind by AC30 are quite hard to fill, especially when you are looking at a compact, 4 Watt amp such as the AC4 Classic Limited Edition. However, when it comes down to the pure tone, you will find that this amp offers a window back in time. 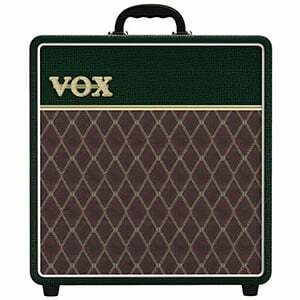 Vox has managed to pack the AC30's identity into a practice amp that costs a mere fraction of the price. With a 12 Inch custom voiced Celestion, you are looking at a decent output and quality of sound. Everything about the AC4 Classic Limited Edition projects its no-nonsense nature. From a clean and simple control panel to its exterior design. It is a true piece of rock history on a budget. Whether you are an amp buff or are just exploring the world of amps for the first time, Fender’s Champion Series is an instantly recognizable collection of amps, with great tone, no-nonsense controls, and good value. The popular Champion 100 is the most powerful model in the series, with two 12” Fender Special Design speakers offering 100 watts of power, making it a great match for regularly gigging guitarists. The controls are stripped down a little when compared to some of the more advanced combo amps, but the Champion 100 still offers a wide range of amp voicings and effects over two separate channels. Check out the full review for more on this classic amp. Orange Amplifiers, a well-known British brand, has given us some of the wildest tube rigs we have today. However, their solid state series are not too far behind. 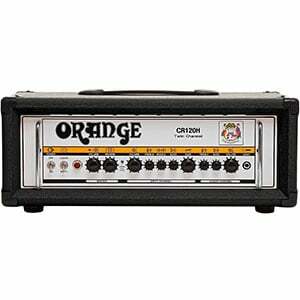 Orange Amplifiers Crush Pro CR120H is a perfect example of what a proper head of this type should be like. Loads of output, great quality of tone and great versatility are all features that define this unit. Those who are looking to get a reliable and durable head for gigging or studio practice can definitely find an answer in Crush Pro Cr120H. All you have to do is find it a decent speaker cabinet to deliver the tone, and you are pretty much set. Finally, this head is very well priced. 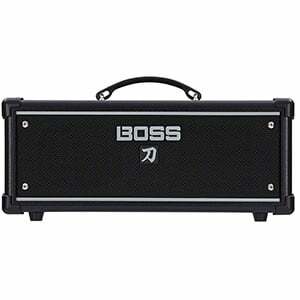 Boss, the brand that has given us reliable and quality guitar effects pedals for decades, also has a thing or two to show when it comes to amps. Their Katana series offer a perfect fusion of power, versatility and overall quality. 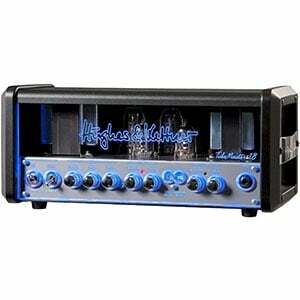 Katana Head we are looking at here is a 100 Watt unit packed with some of their best amp emulations and effects. Compact, easy to use and well priced, this is exactly the type of an amplifier a performing guitar player can use. Especially if they are on a tight budget. On top of that, Katana also features an acoustic mode, allowing you to plug in your acoustic electric guitar and have a more than a decent quality of tone. When it comes to versatile solid state amps, only a few companies can even comeclose to Line 6. This type of amplifier is their bread and butter. Line 6 Spider V 240HC is a perfect example of what kind of power, innovation, and diversity this brand is capable of packing into a single package. Not only does it come crammed with over 200 effects, amps and cab emulations, but they have also built in presets inspired by a variety of popular guitarists. Those who don't have a speaker cab, or can't budget one at the moment, will appreciate the fact that this thing comes with built-in speakers. Bang for the buck, Spider V 240HC is a real bargain. A $500 amplifier sits pretty much in between an entry-level model and a pro-grade amp costing $1,000. So, while these $500 models aren’t going to be the best amps on the market, they are going to be pretty damn good! When buying any amp, it’s worth considering what you are going to use it for – in what setting. Unlike budget amps (which are purely for practice) or premium amps (which are built for the stage), a $500 amplifier is the happy medium for most users. They tend to offer enough power for many venues, while still proving suitable for home use, should you wish. More often than not, they are also crammed with features that make experimenting, sound-shaping and recording great fun. While combo amps are very convenient – especially for beginners and intermediate players – if you are a regular performer, an amp head will probably suit you best. As they are lighter than a combo amp, heads tend to be more practical to carry from gig to gig, especially if the venue has its own speaker cabinet to plug into. On that note, heads – when hooked up to a decent cab – can offer huge power which a combo would struggle to beat. The drawback of buying an amp head is the fact that, unless you are guaranteed a cab at the venue, you’ll need to buy one for yourself. This is an additional cost to factor into your budget and another thing to carry to and from gigs. But this is necessary if you want to hear yourself play! Finding a good amp in the sub-$500 section isn’t that difficult – narrowing it down to one you truly can’t live without is the hardest part. But if you use our chart to inspire you as you shop around, you should end up with something that will last you for years and years of jamming, gigging and recording. 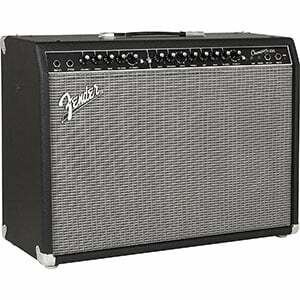 Did you review the Peavey Classic 20 Mini and Orange Tiny Terror as well? Just wondering what about them failed to get them on the list. Asie from the rest of the arrival, your recommendation to just buy a head is flawed. Get the combo and buy an amp stand. A 4×12 cab has half the speakers pointed at your calves and last time I checked that is not how we hear.